Sony’s PS4 is one of the most socially connected consoles available today. One way the PS4 does this is by tying your PS4’s XMB to your Twitter and Facebook profiles. By using the Twitter and PS4 connection, you can tweet livestreaming of games to your Twitter pals and more. By using Facebook, you can see which of your Facebook friends are on the PSN. When you initially set up your PS4 and log in to the PSN the first time, you can choose to set up and link your Twitter and Facebook profiles to your PSN profile. If you decided to do this later, these directions will allow you to connect your Facebook and Twitter accounts. 1. Go to Settings > PSN. 2. In the PSN settings, go down to the Link with Other Services option. 3. Choose the Twitter option. 4. Log in with your Twitter user login information. 5. Finally, we will see a confirmation stating that we have connected our Twitter account to the PS4 and our PSN account. It is that easy. 1. From the XMB, go to Settings > PSN. 3. Choose the Facebook option. 4. Log in with your Facebook user login (This includes your email and password). 5. You will be asked to Accept a EULA. You need to do so. 6. 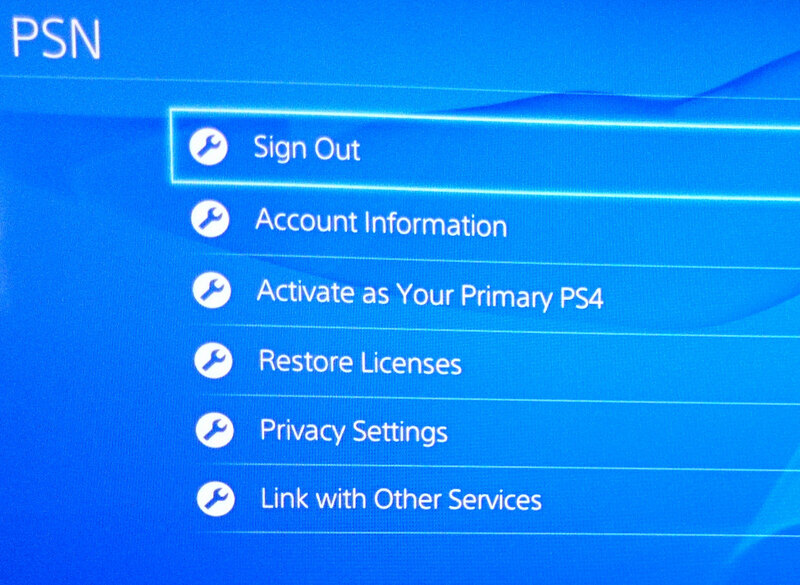 You can also import your name and Facebook profile to use on the PSN on the PS4. In my case, I chose to use my picture. 7. Next, we will have several screens of privacy settings. You should read these, and then choose your preferences (One example is provided below). 8. Finally, we will see a confirmation stating that we have connected Facebook to the PS4/PSN account.